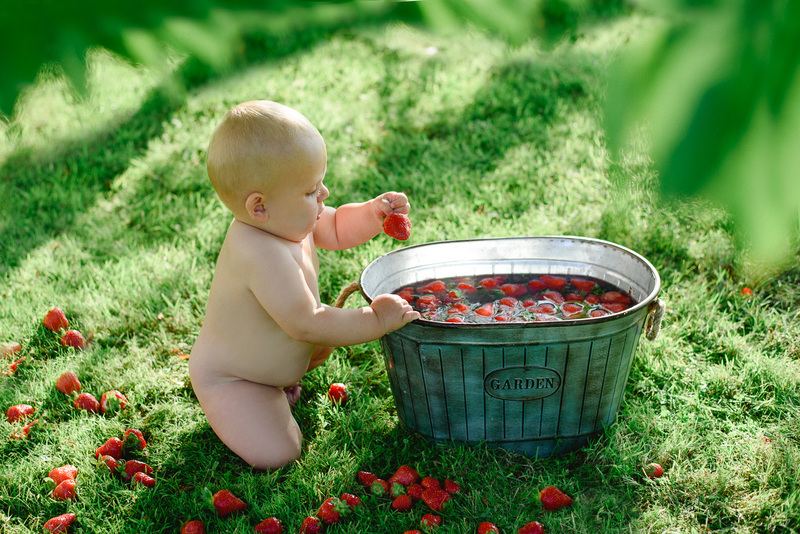 Who doesn’t love babies, summer and fruit?! 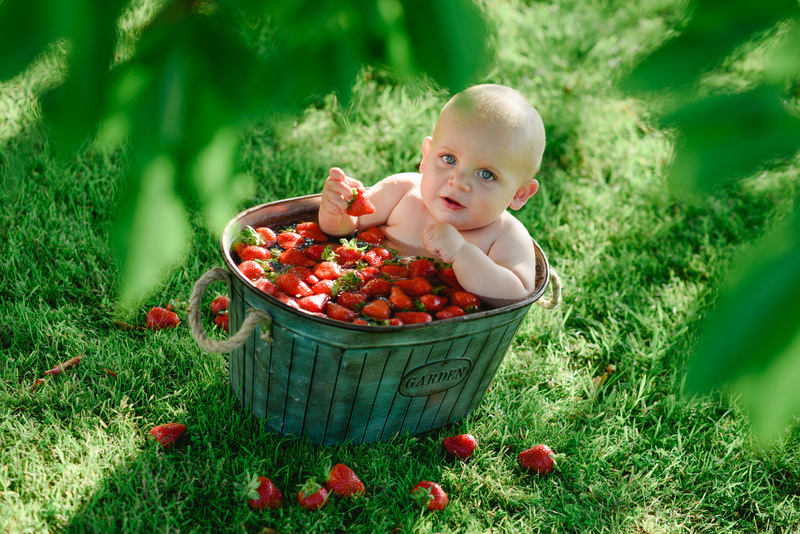 How about babies IN fruit?! 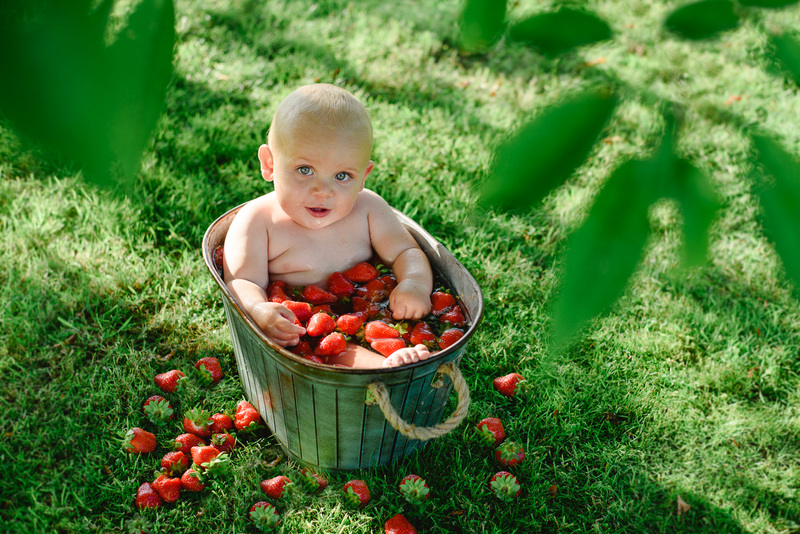 Today I’m sharing with you this amazing Strawberry Baby Bath Photo Shoot!!! 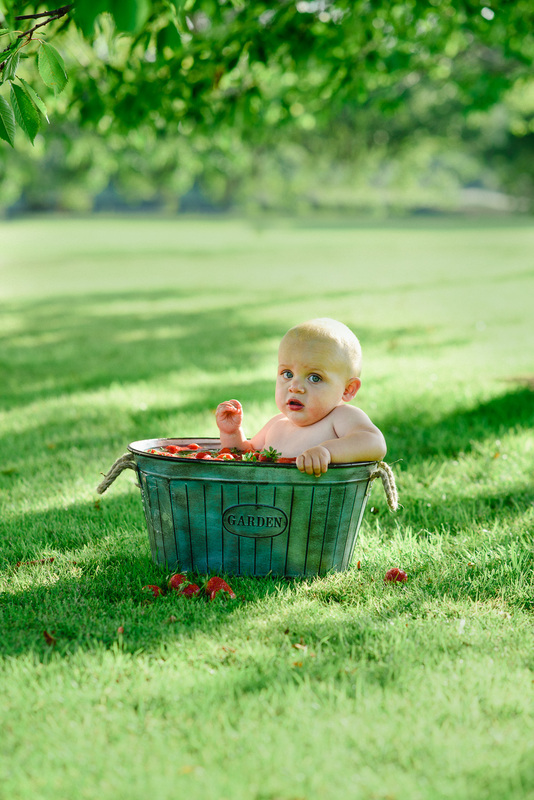 My own baby Marcel who has just turned 11 months old absolutely loved his Mini Bath Photo Shoot. 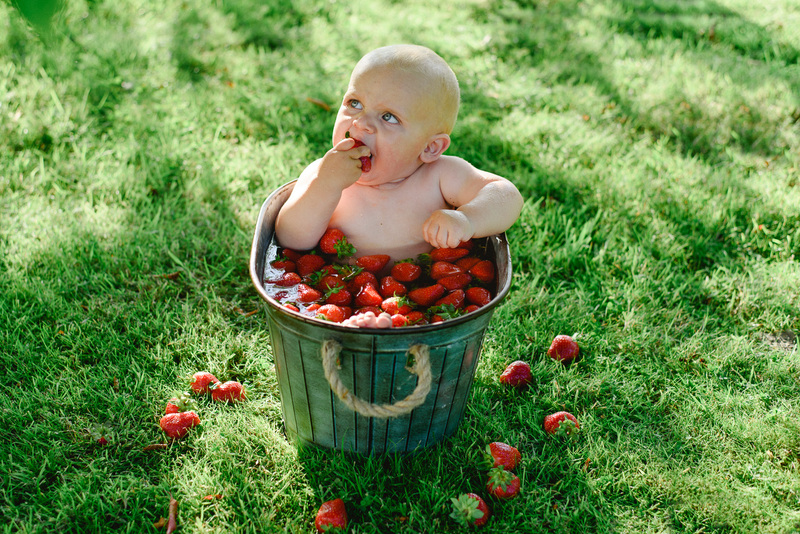 MUNCH MUNCH MUNCH STRAWBERRIES! What a boy! He really enjoyed this relaxing bath. 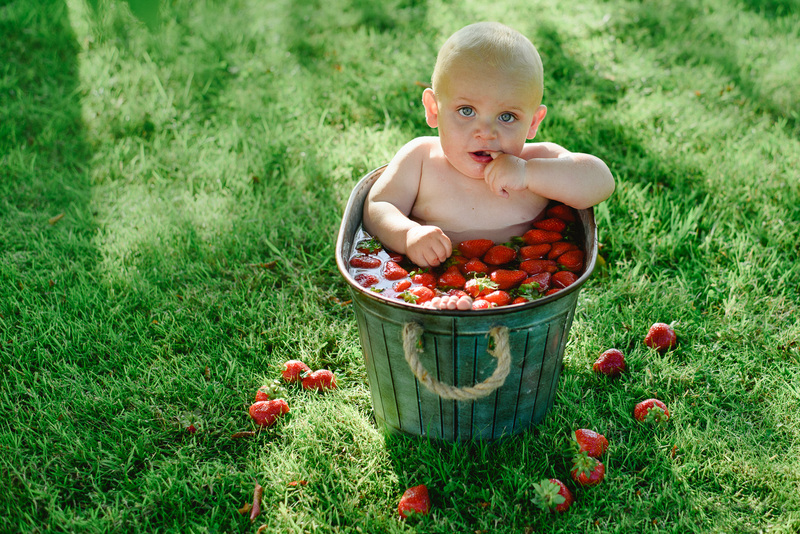 I can think of a few parents who would even enjoy a strawberry bath for themselves, including myself. 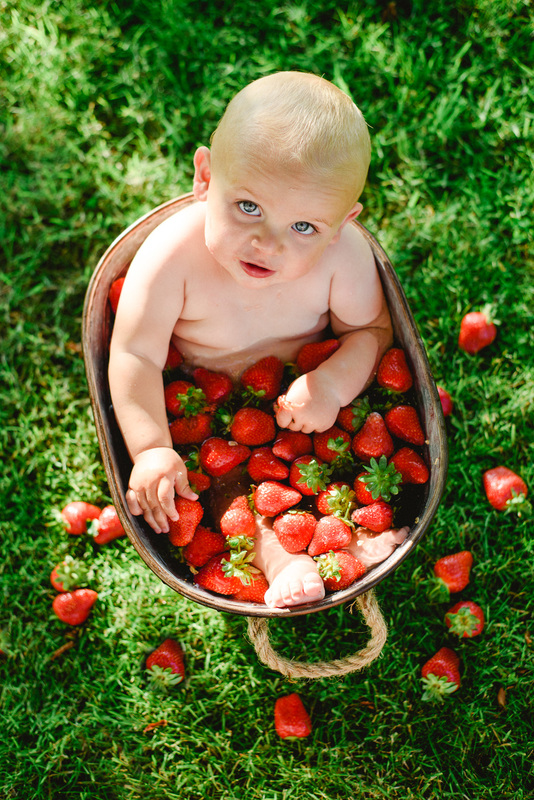 Who wouldn’t want to relax and eat strawberries for a day? 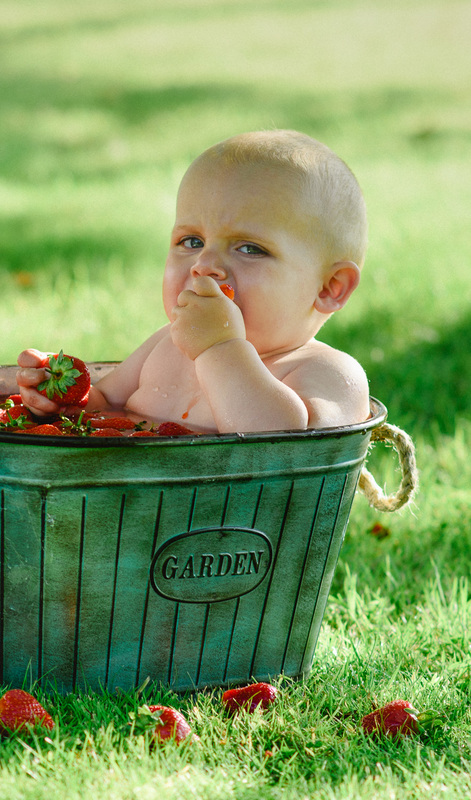 These Baby Bath Pictures are not only a delightful spectacle, they really bring your child’s personality to life. Consider using different fruits or an assortment of sliced fruits. 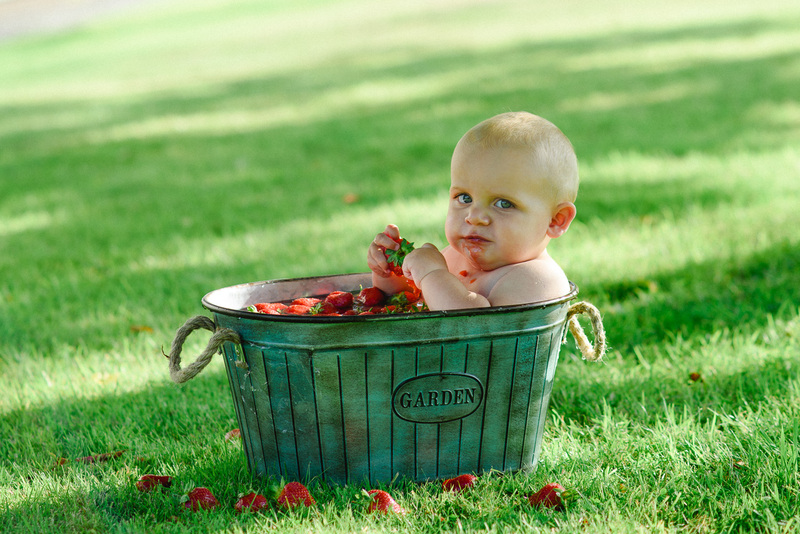 Mini photo sessions are best for the milestone months when baby is ready to sit unsupported. 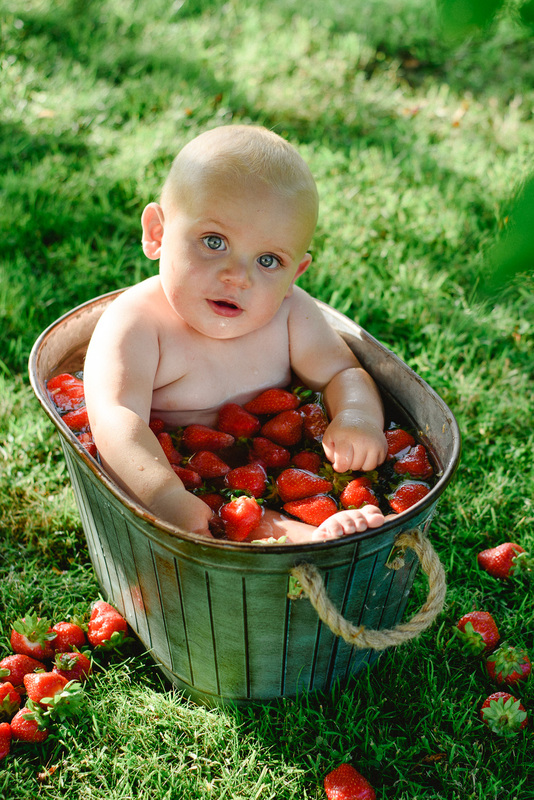 One of the most important things to be cautious of when doing a fruit bath session is babies safety. 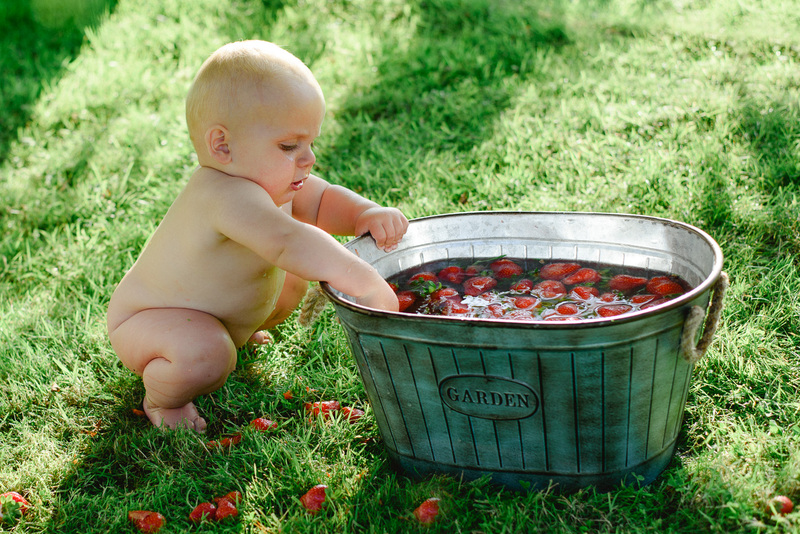 You want to make sure that the child is able to sit up on their own, 100%. Therefore, making these baby milestone sets best for ages 6-7 months to one year. This session was easily one of my favourites! It really show cases my little guys silly side, but also is just a really fun project that kids can really get involved with. 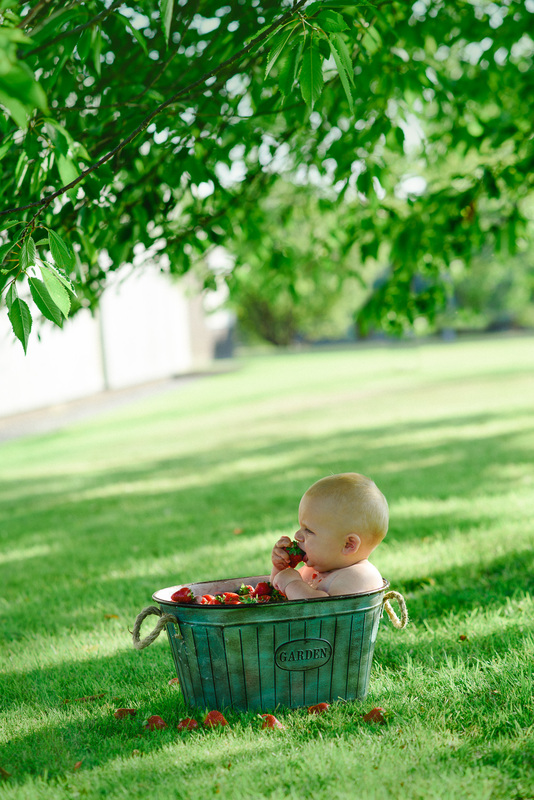 Some children are camera shy, and what’s so great with the fruit baths is even the candid, not smiling shots make for super cute ones! Photo session takes up to 20 minutes. 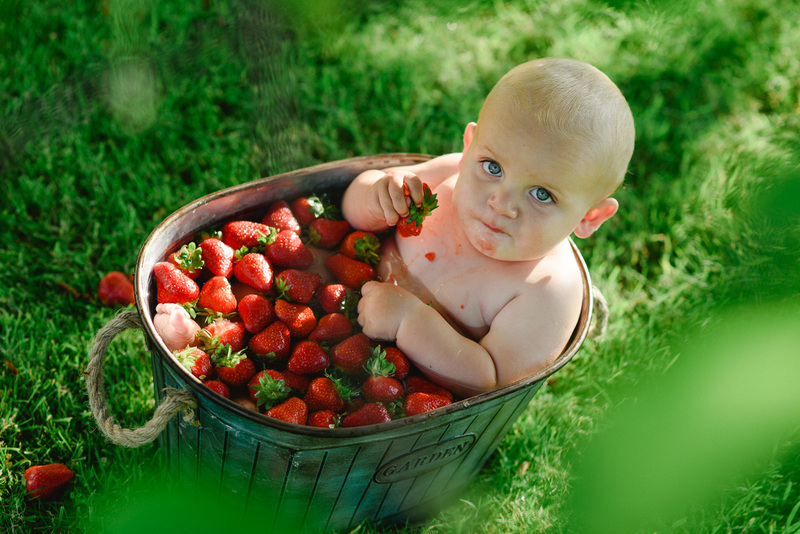 I provide nice warm water & strawberries. Session takes place not too far from Old Kilpatrick. 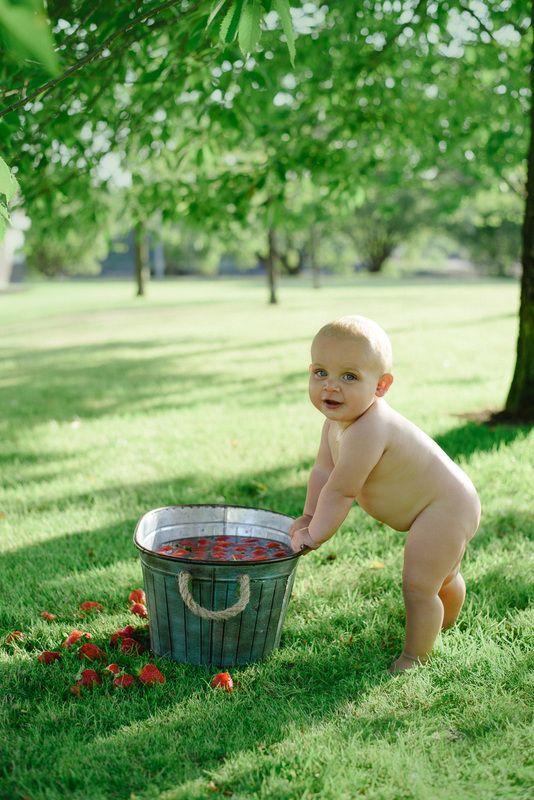 WANT TO BOOK A SESSION LIKE THIS ONE? CLICK BELOW!